Antarctica is famous for its penguins. In the South Shetland Islands and Antarctic Peninsula you can go ashore at sites where gentoo, chinstrap, and adélie penguins come together in boisterous nesting colonies. Meeting with an inquisitive penguin chick is an experience not to be forgotten. The waters of Antarctica are also home to impressive numbers of marine mammals. 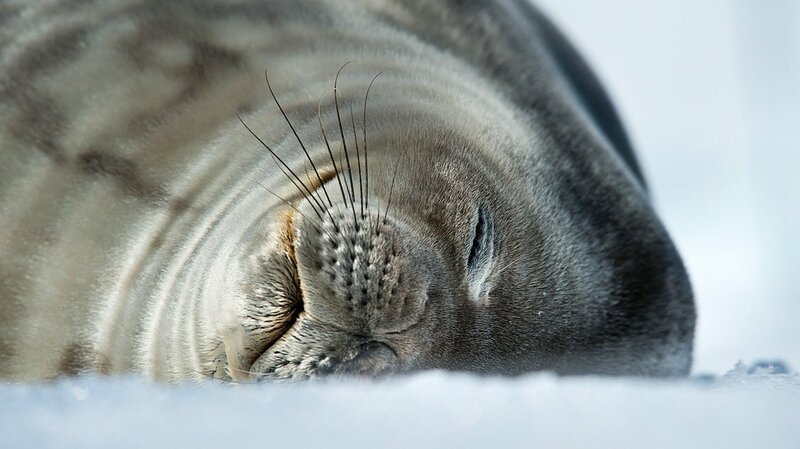 Pinnipeds such as weddell, crabeater, and leopard seals are commonly seen reposing on ice floes or hauled-out on shore. Humpback and killer whales can also be spotted feeding in bountiful seas. The scenery in Antarctica is unique in the world. Tall, rugged, gleaming white mountains—covered on all but their sheerest faces by innumerable glaciers and permanent snow—rise from deep blue waters to form idyllic bays and scenic passages such as the famous Lemaire Channel. Afloat everywhere in these protected waterways are fragments of Antarctica’s frozen surface. From billowy blankets of brash ice crackling in the wake of our Zodiacs to gargantuan tabular icebergs that dwarf our ship, ice is a dramatic and inescapable feature of any Antarctic tableau. 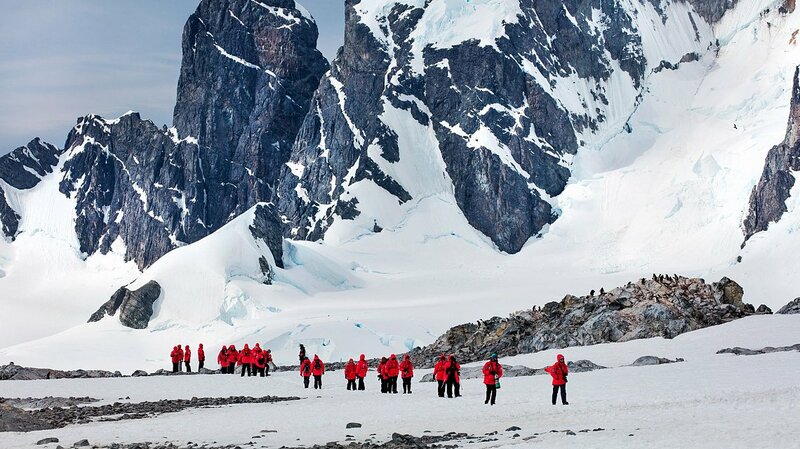 Antarctica has been the setting of many heroic adventures and journeys of discovery. 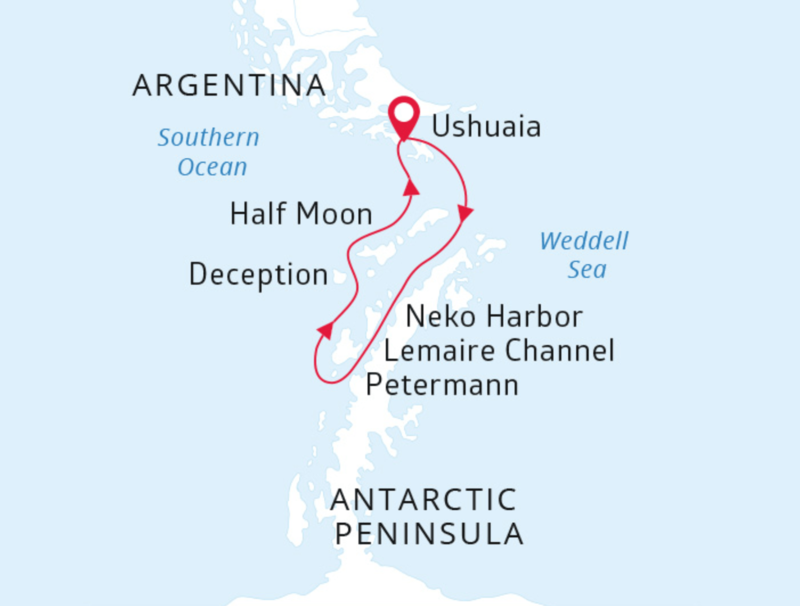 On this voyage you will be following in the historic footsteps of early whalers, polar explorers, and scientific expeditions. Evidence of these intrepid first visitors can still be seen in locations around the Antarctic Peninsula and South Shetland Islands. In these areas you also have the opportunity to appreciate modern human ingenuity at scientific research stations of various nationalities. Some of these stations, such as Port Lockroy, even boast a museum, gift shop, and post office. The Antarctic Peninsula is the ultimate destination for experienced and novice photographers alike. Our free photography program gives you the chance to learn and practice your photography skills alongside an expert photographer. 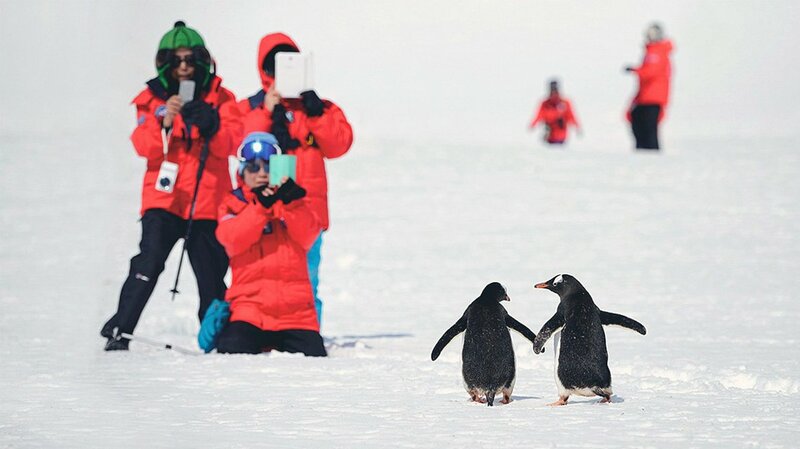 Antarctic wildlife is famously obliging to photographers. Having evolved without terrestrial predators, animals such as penguins and seals do not spook easily when on land or on ice floes. At sea, whales and seabirds also make excellent subjects. With ice features of every description and scenery beyond comparison, Antarctica also provides a wealth of inspiration for the landscape photographer. Our expert will be available to help you make the most of this bounty in your viewfinder. 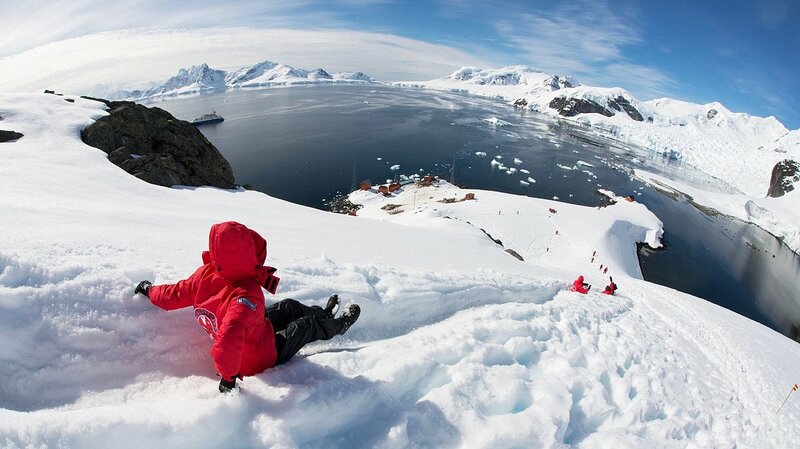 Antarctica is truly a paddlers’ paradise. The White Continent delights kayakers with its spectacular polar landscapes, mesmerizing ice features, abundant marine wildlife, and variety of excellent paddling locations. Sea Kayak Club participants in Antarctica have the coveted opportunity to paddle with playful penguins in waters sparkling with ice while enjoying magnificent vistas of mountains and glaciers. The picturesque and protected waters of the Antarctic Peninsula offer some of the best paddling opportunities in the world. If you enjoy sea kayaking, then be sure not to miss your chance to participate in this incredible optional activity. Antarctica Camping is a unique and unforgettable way to expand your experience on the White Continent. 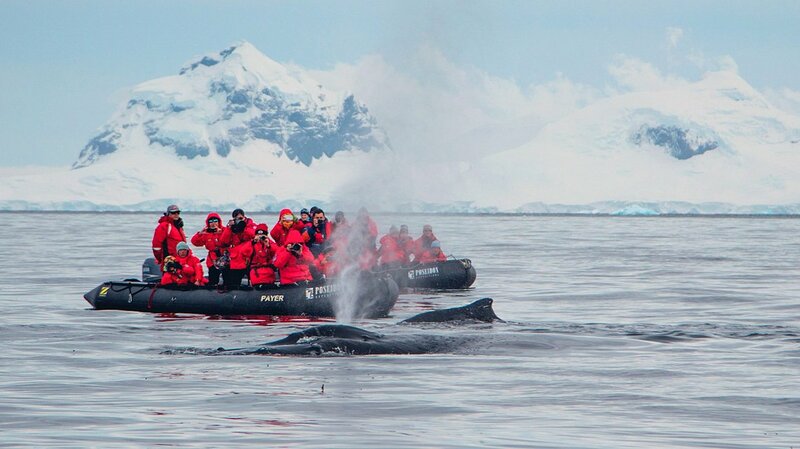 This optional activity allows you to meet Antarctica on its own terms by spending a night out on the ice and snow. Camping is a great opportunity to immerse yourself in the Antarctic wilderness. Spend hours watching the drama of ever-changing light upon the landscape, capturing that perfect photo, or simply falling asleep to the mysterious sounds of the ice. On your camping night you can take the time to fully experience whatever joy Antarctica holds for you. You will also gain undeniable bragging rights, lasting memories, and a newfound appreciation for your warm bed back on the ship.